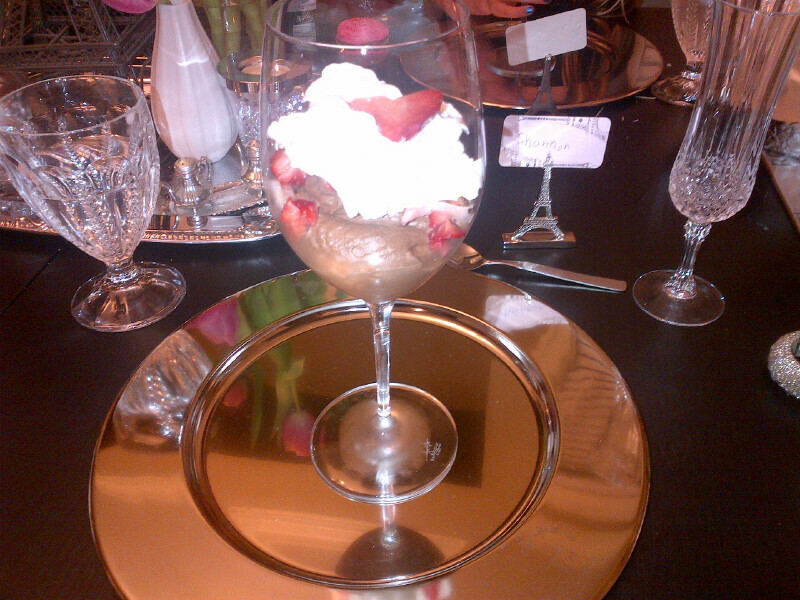 J’adore my Family « Blog « DFC Events Inc.
$60 for a dozen roses, $30 for a box of chocolates, $150 for a dinner at a restaurant – Valentine’s Day celebrations can be very expensive! 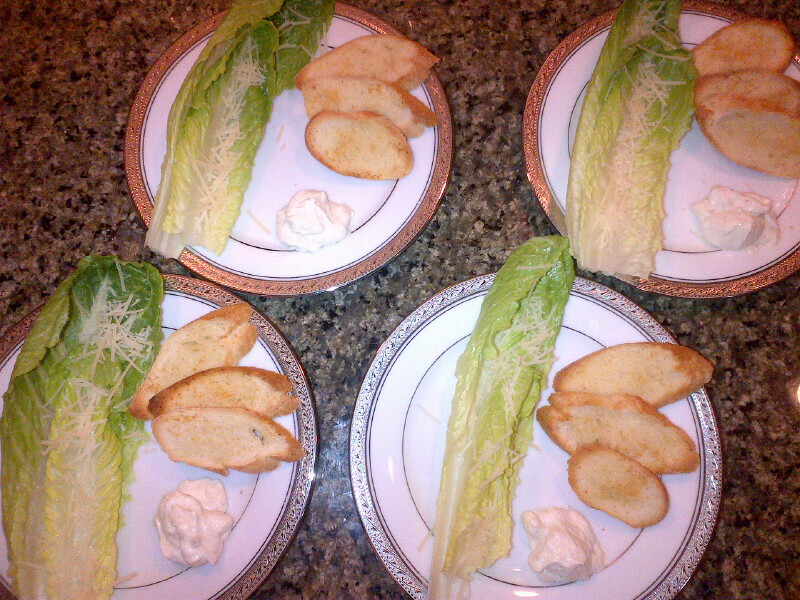 For several years now, my husband and I have forgone these expensive Valentine’s traditions and instead have had a ‘fancy’ at-home family dinner! 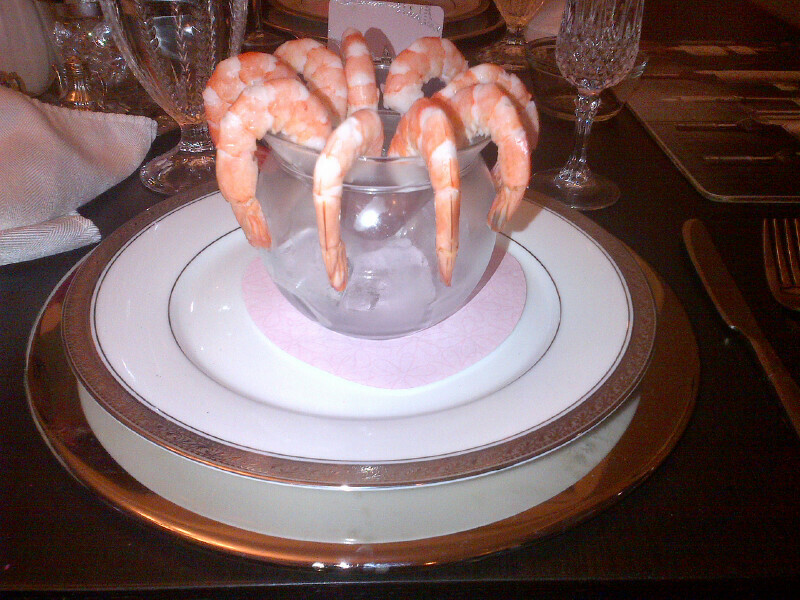 I make a four course meal, we get dressed up in our formal wear, have some champagne (sparkling apple juice for the kids of course), and set the table with my fine china! I love to decorate and set a tablescape for our ‘fancy’ dinners. 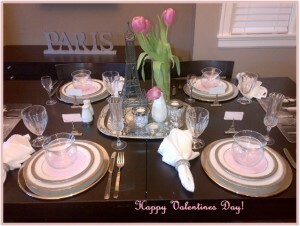 This year I went with a “J’adore” theme and incorporated my Eiffel tower decor into my table setting. 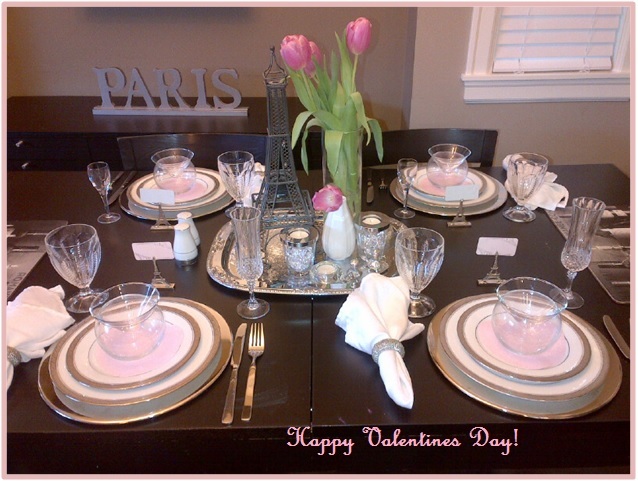 I used an Eiffel tower figure as my centrepiece along with beautiful pink tulips, Eiffel tower place card holders, silver chargers, and paper pink hearts! 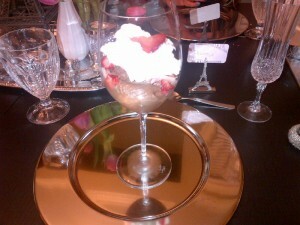 Dessert was a decadent chocolate mousse topped with strawberries and whipped cream served in a wine glass. 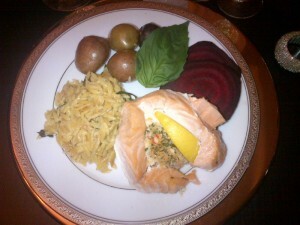 Hope you all had a fantastic Valentine’s Day too!